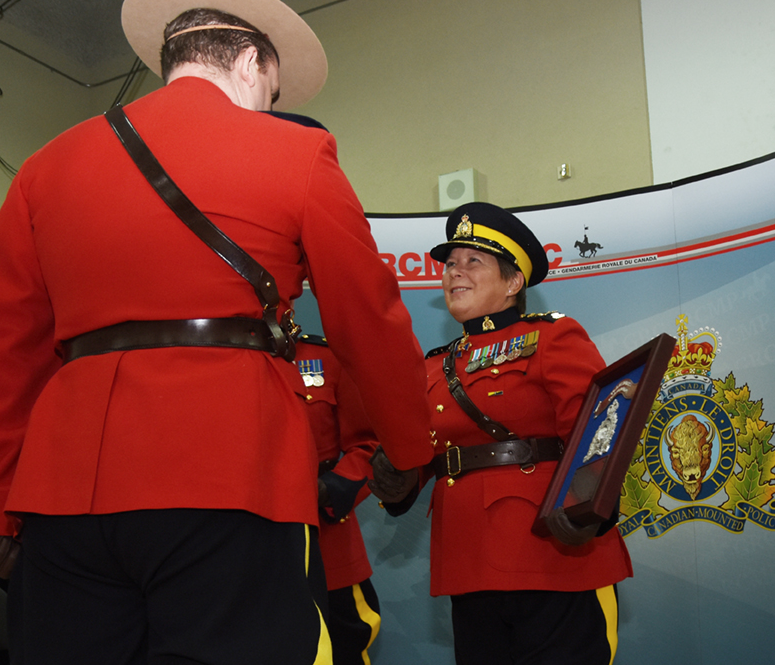 RCMP Commissioner Brenda Lucki joined Deputy Commissioner Curtis Zablocki, Commanding Officer of the Alberta RCMP, in the presentation of Commendations for Bravery to 17 recipients in private ceremony at “K” Division Headquarters. The award recognizes Regular Members and civilians who have demonstrated outstanding courage in the face of dangerous circumstances beyond those commonly encountered in routine police work and which pose an imminent threat of personal injury or death. The names of the recipients and the circumstances that resulted in their awards are provided below. On Jan. 17, 2015, Constable David Wynn and Auxiliary Constable Derek Bond were involved in a confrontation with an armed suspect in St. Albert, Alta. During the encounter, the suspect fired upon and struck Auxiliary Constable Bond in the arm and torso. Constable Wynn, aware of the danger, continued to advance and engaged with the suspect. The suspect was able to fire his weapon again, striking Constable Wynn, who subsequently passed away due to his injuries. On June 30, 2014, a drunk driver crossed into oncoming traffic near Mallaig, Alta., striking a travel trailer before hitting a vehicle driven by Mr. Fragoso. The vehicle was forced into the ditch where it caught fire. Off-duty Corporal Richard, with the assistance of Mr. Sabbah and Mr. Lines, braved the fire engulfed-vehicle and made continuous attempts to rescue the two adults trapped in the front seat. Mr. Fragoso assisted the rescuers by using the fire extinguisher provided to him and attempted to clear the flames on his partner, and his daughter, first. As a result of Mr. Fragoso’s selfless actions, the rescuers were able to extricate his daughter from the back seat. Sadly, Mr. Fragoso and his partner, Ms. Patterson, passed away. On Oct. 1, 2016, Constables Goudey and Stevens rescued a distressed man who was in danger of drowning in the Peace River, in Peace River, Alta. The members, along with several colleagues, responded to a request for assistance from the Peace River paramedics and fire department of an adult male who had fallen into the swift-moving current at an unknown point. The two members entered the freezing water, but were deterred by the current. A second attempt was made by the members, swimming 30 feet out and successfully brought the man back to shore. On June 16, 2016, Constables Aucoin and Czarnecki responded to a domestic dispute in Spruce Grove, Alta. While interviewing the victim outside the trailer home, the constables saw thick, black smoke coming out of the residence’s front windows. Knowing the suspect was still inside, the members raced to the front door and attempted to kick it down. After finally gaining entrance, Constables Aucoin and Czarnecki crawled on their hands and knees through the dense smoke until they located the unconscious suspect. They were able to drag the man outside where he was revived. 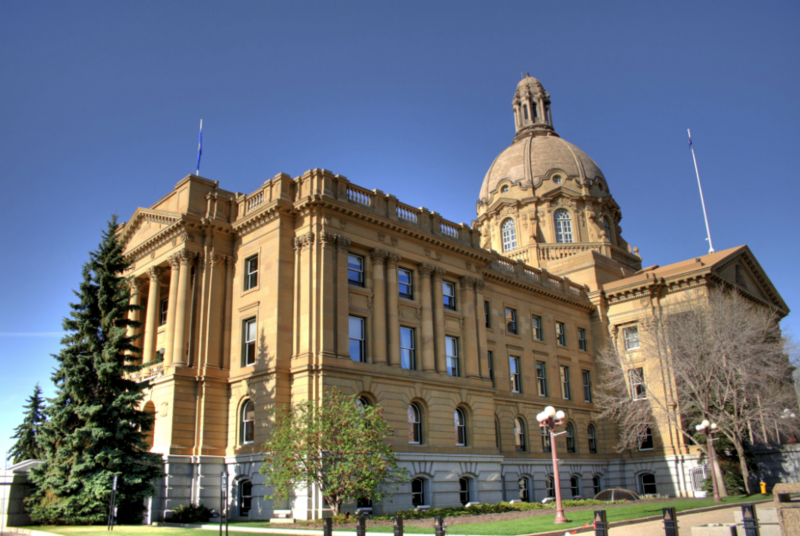 Between May 14 and 15, 2011, the town of Slave Lake was subject to wildfires which caused catastrophic losses and forced the complete evacuation of nearly 7,000 residents. Constable Wakelin arrived with the first response team and maintained his post at the checkpoint through the fire, despite not having protective equipment. 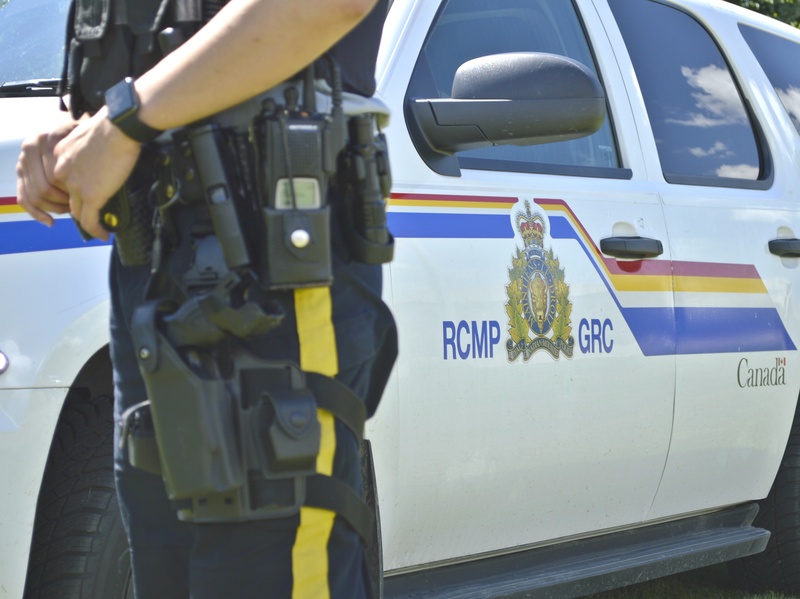 On Jan. 6, 2014, members from Vegreville, Tofield and Two Hills Detachments received information of a man who was wanted on several warrants, was in possession of a handgun and had threatened to kill an individual. Corporal Ogilvie placed himself in danger to assist with the arrest and was subsequently ejected and run over by the truck driven by the male suspect. Inspector Landry, Corporal Brosinsky, Constable Crowther and Constable Rayner all braved multiple rounds of exchange of gunfire with the suspect in an attempt to make the arrest and remove Corporal Ogilive from the scene to safety. The male suspect was contained in his vehicle until the Emergency Response Team arrived and made the arrest.